Each year the National Garden Bureau selects one annual, one perennial, one bulb crop, and one edible for the honor of being selected a “Year of the” crop. Plants are chosen because they are popular, easy-to-grow, widely adaptable, genetically diverse, and versatile. The organization has declared 2017 the Year of the Rose in recognition of its importance. Part of the Rosaceae family (important for the food supply—think apples, strawberries, etc. )—there are more than 150 species of roses but only a few are used in today’s gardens. Roses have been associated with humans since the earliest recorded history. The oldest record is from China and dates back more than 7,000 years and the plants’ popularity hasn’t faded since. Modern rose hybridization started in Western Europe in the 18th Century, and today there are more than 11,000 existing varieties of hybrid roses, with more being bred every year. Climbing Roses, which are self-explanatory. Landscape roses are the main component of today’s North American rose industry. Once considered just a hodge-podge of varieties that did not fit any of the other categories, they have led a revolution in the landscape. The work of Dr. Buck in the 1950’s at Iowa State University has led to great commercial success since. The Meidiland® in the 1980’s, Flower Carpet® in the 1990’s and 2000’s and now The Knock Out® and Drift® series, which are mainstays of the industry. Today the rose market in the US is estimated at about 35 million units sold each year and growing again after years of decline. About half of the total is Landscape roses, and among the other classes, Hybrid Teas represent about 60 percent, Floribundas represent about 30 percent, Climbers represent about 15 percent, and Miniatures represent about 5 percent. There is also a small but significant production of heirloom/heritage roses still produced by boutique nurseries. The majority of the most popular modern hybrids is protected by US plant patents and cannot be propagated without prior consent from the breeders. 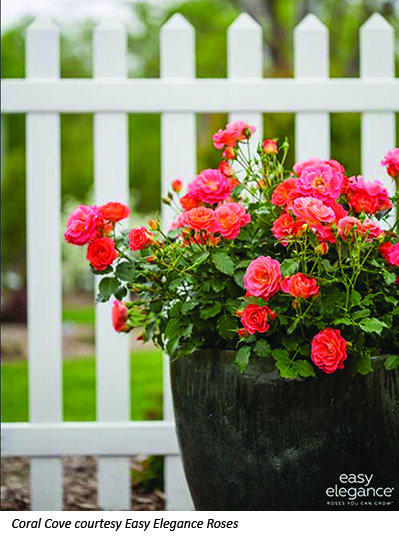 In North America, the main trends in new rose varieties are for more uses and lower maintenance. There is also a renewed interest in traditional Hybrid Tea roses providing they are fragrant and more disease resistant than existing cultivars. 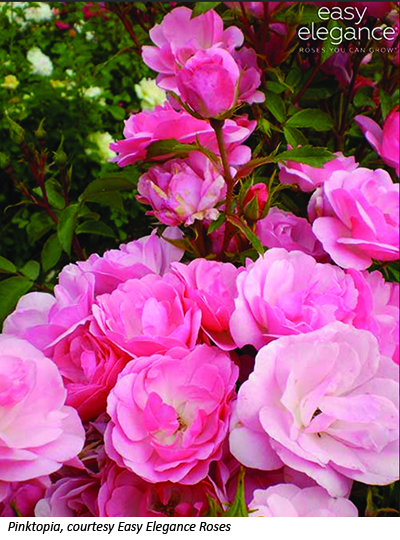 Due to new breeding work, today’s roses are much easier to grow than older varieties. They have been bred for vigor, disease resistance, and controlled growth, meaning much less work for the home gardener. Full sun is a must for roses because, without 6 to 8 hours of full sun, the plants produce fewer flowers and develop long leggy (and weak) stems with a higher likelihood of disease. Roses appreciate a deep watering during dry spells and drip irrigation is ideal to avoid diseases caused by wet foliage. The three most common diseases on roses are black spot, rust, and powdery mildew. Disease pressure varies by region but humidity is the worst cause. As a whole, today’s modern varieties are much more resistant, making the whole experience of growing roses easier than in the past. Editor’s Note: “Inspire. Connect. Grow.” The National Garden Bureau is a non-profit organization that exists to educate, inspire, and motivate people to increase the use of plants in homes, gardens, and workplaces by being the marketing arm of the gardening industry. The organization’s members are experts in the field of horticulture and our information comes directly from these sources.